As parents, we’ve all been there, or we will be someday. Our busy lives create lots of pressure. It’s awful when the patience, perspective, mindfulness — or whatever we have been working to sustain or cultivate — just slips away from us. It may feel like everything is fine until, suddenly, it’s not. Or, we know we are on a downhill slide but feel helpless to stop it. Either way, we end up saying or doing regrettable things, and it feels terrible. This is not what we hoped for when we became parents! As parents, sometimes we set aside our needs to the detriment of ourselves and our children. Have you heard of HALT? It’s a simple mnemonic to help you check in with yourself when you are feeling bad. Are you Hungry? Angry? Lonely? Tired? Sometimes asking ourselves these questions can help us notice that the root of our bad feelings isn’t actually our children! Are we trying to do too much? 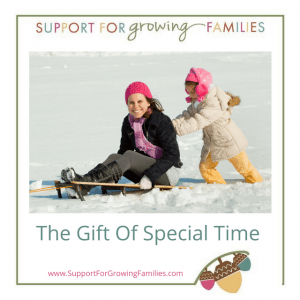 Are our expectations too high for ourselves and our children? Sometimes a little flexibility can go a long way. Can you simplify the meal you are making? Can you stop fighting with your children about what to wear and let them dress themselves? Can you let some of the housework go? Can you allow yourself to be late to where you are headed? Do you need to change your plans altogether? Can you wait a little longer for your child to turn off the TV/computer? 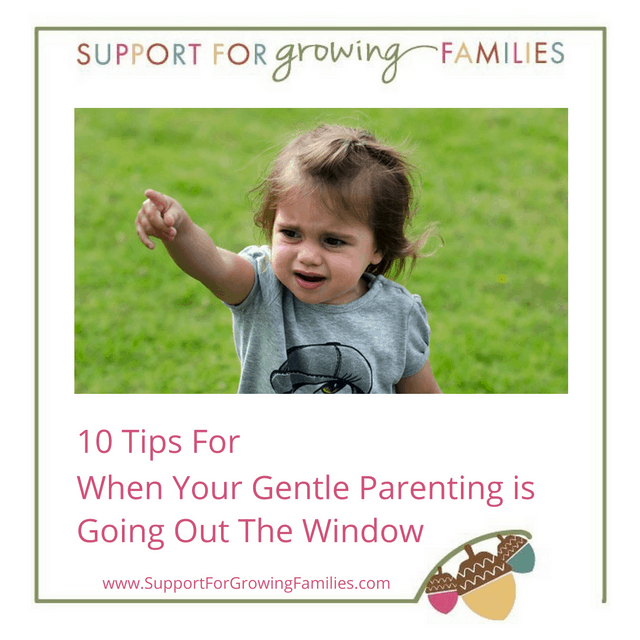 If it is safe for you to leave your children unattended briefly, you can go into another room by yourself and “let the upset out” without directing it at your children. Cry or yell into a pillow, hug a teddy bear. If you can’t walk away, you can simply try to take a deep breath. Find someone to vent to (or with) when things feel out of control. Tell someone you trust about the struggles you are having. Ask if you can call, email, or text them to vent when you are upset. You could even pre-program a phone number into your phone, and then ask your children to tell you to call that person if you are getting too angry, or have them call the number themselves. Your children probably know your warning signs better than you do! This one might sound off-the-wall, but consider the alternative. You already know that you might yell or hit and you don’t want to. When all else fails, try lying down on the floor. It will literally give you (and your children) a new perspective. When the crisis is over, or better yet — averted, we often move on without much chance to think about next time. Usually, we hope that we will stop ourselves next time, or we simply decide, I’m never doing that again. 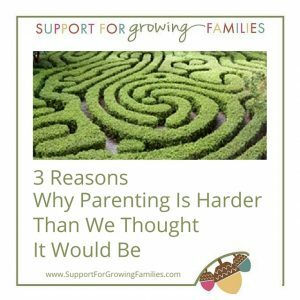 Sometimes, though, a decision isn’t enough to hold up in the face of the intense emotions of parenting. So, as difficult as it can be to find or make time for ourselves and our emotions, sometimes we can’t change the behavior until we get help with the emotions. 6. What Was Happening in Your Life When You Were That Age? If you are having a particularly challenging time with your parenting, it might be worth thinking back to what was happening in your life when you were the same age as your child. Sometimes we can have an aha moment when we realize that, when we were that age, we moved, or our parents got divorced, or we started school and hated it. Those memories and the accompanying feelings shape how we feel about what is happening in the present. By becoming conscious of them, and perhaps having an opportunity to resolve those old hurts, you will find that responding to your children with patience and understanding becomes easier. 7. Do You Need to Set Different Limits? When it’s time to set a limit for our children, we may ask “nicely” and become frustrated when our children don’t respond to our pleasant tone or our reasoning. Sometimes parents then flip over into harshness because they are so frustrated. Rather than trying to be “nice” and “reasonable,” try going for “kind but firm.” Don’t expect your child to agree to the limit. You may need to listen to your child be upset about the limit, and that’s okay. It’s okay to need help with our parenting. Do you need information? Support to know that you are not alone? There are lots of parenting support groups and classes around … explore until you find one that is a good fit for you. The harshness toward our children comes out after we have experienced harshness ourselves, either as children or in our adult relationships. I also think that just living in the U.S. means that you are facing harshness as a parent. If we are beating ourselves up in our own heads, eventually it will also come out at our children. Considering everything that’s happened in your life, you are doing the best you can. You can want to do better without being hard on yourself. One awesome way to do the venting and reflecting necessary for change is to set up a “listening partnership” with another parent. The basics are simple: you take turns listening to each other for equal amounts of time … no advice, no jumping in with our own story, just listening and remembering that this parent is doing his or her best. And so are you. This article was originally published in the Conscious Parenting Column of Crazy Wisdom Journal, on December 31, 2015.